Get started on the Call2Fall 40 Day Spiritual Journey today. In spite of today's staggering moral decline, there are growing signs God is mightily touching His people. A rising number of believers and churches are seeing miraculous moves of God's Spirit. In fact, some churches are experiencing things so incredible only God can explain what is happening! 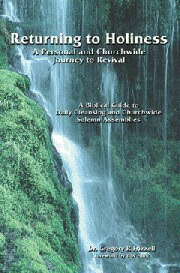 Returning to Holiness: A Personal and Church-wide Journey to Revival, and are used by permission. To order this book, visit www.masterdesign.org or call 405-942-3000, extension 4517 or email pjones@bgco.org.